ITT Technical Institute became a household name for many people who remember seeing the commercials on daytime tv during soap operas and daytime talk shows. However, ITT Tech is now becoming known for a business move that is as shocking as anything on the television programs that it once advertised. That move was to abruptly close its educational centers without much, if any, warning. The for-profit educational juggernaut is now finding itself in legal trouble after suddenly shutting the company doors. 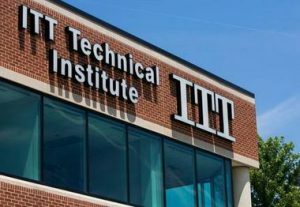 Three employees have filed lawsuits against ITT Educational Services, Inc., the company in charge of the ITT Tech educational centers, over the fact that the company failed to provide an adequate warning to its employees before closing. Under the Worker Adjustment and Retraining Notification (WARN) Act, companies with 100 or more employees are required to provide 60 days notice to their employees in the event of a plant closing that results in a mass layoff. A mass layoff is defined as a layoff of 50 or more employees. When the details of the WARN Act are applied to the facts of the ITT Tech situation, it does appear that ITT Educational Services, Inc. did owe its laid-off employees a warning. The mass closings of the ITT Tech educational facilities occurring all at once can equivocate to a major plant closing despite occurring at different locations instead of a singular location. Also, the aggregate number of employees working at the various shuttered educational facilities was around 4100 employees, which means that the shutting down of the ITT Tech facilities did lead to a mass layoff if viewed as a singular action. However, there are two arguments that ITT Educational Services, Inc. may be able to use to successfully defend itself. First, the company could argue that the closures cannot be treated as a singular closure that triggered a mass layoff because the facilities are located all across the country with many facilities employing less than 50 employees. Closing several smaller offices rather than one large office has a different impact on a community than if a single location employing several people in that community shuts down without warning. The court can choose to look at each facility closure as a single instance instead of choosing to aggregate all of the closures and employee numbers into a single event. If the court does choose to look at the different closures as unique events, then the number of employees lost at each educational facility may not be enough for the employment loss to count as a mass layoff. In the event that the court does choose to look at the closures as a single event, ITT Educational Services, Inc. may still be free to argue that it should be exempt because the closures were a result of an unforeseeable business circumstance. Under the WARN Act, a company is not required to provide a 60-day notice to its employees if an unforeseeable business circumstance is what caused the plant closing. In the case of an unforeseeable business circumstance, the company only needs to provide as much warning as is reasonably possible. ITT Educational Services, Inc. could potentially argue that the imposition of sanctions by the federal government was an unforeseeable circumstance that made it impossible to continue operations. On its website, ITT Educational Services, Inc. claims that it had no intention of closing the ITT Tech educational services until the sanctions prohibiting it from accepting federal loans were imposed. However, the company had been evaluated and monitored by the federal government with the threat of sanctions if certain changes were not implemented by a certain date. Also, Corinthian Colleges, a for-profit education company similar to ITT Educational Services, Inc., shut down operations just over a year ago after going through the same evaluation process and being given the same sanctions as ITT Educational Services, Inc. Thus, it could be argued that ITT Educational Services, Inc. should have been able to foresee that they may be put into a position of having to shut down operations shortly after the deadline provided by the government, and should have provided its employees with a warning of a probable closure. Even with the availability of two possible defenses, it does appear that ITT Educational Services, Inc. may have owed its former employees a 60-day warning for the educational facility closures. If the court does find that the employees were owed a warning, then ITT Educational Services, Inc. will owe its laid-off employees wages and benefits for the amount of time in which they were owed a warning, which would be 60 days in this case. ITT Educational Services, Inc. may owe even more money beyond the wages and benefits if the court determines that the company should have also provided notice to local governments of the intention to close its educational facilities. Mass layoff and plant closures have a seriously negative economic impact on local communities when they happen. If a large employer such as ITT Educational Services, Inc. fails to provide an adequate warning about a mass layoff, then the economic impact cannot be mitigated by the former employees finding new employment to replace their former employment with little to no gap between periods of employment. Thus, it is important to enforce laws such as the WARN Act. If you have recently been laid off suddenly without warning, you may be entitled to back wages under the WARN Act or another federal law. To find out if you are entitled to such compensation, contact an employment lawyer today.